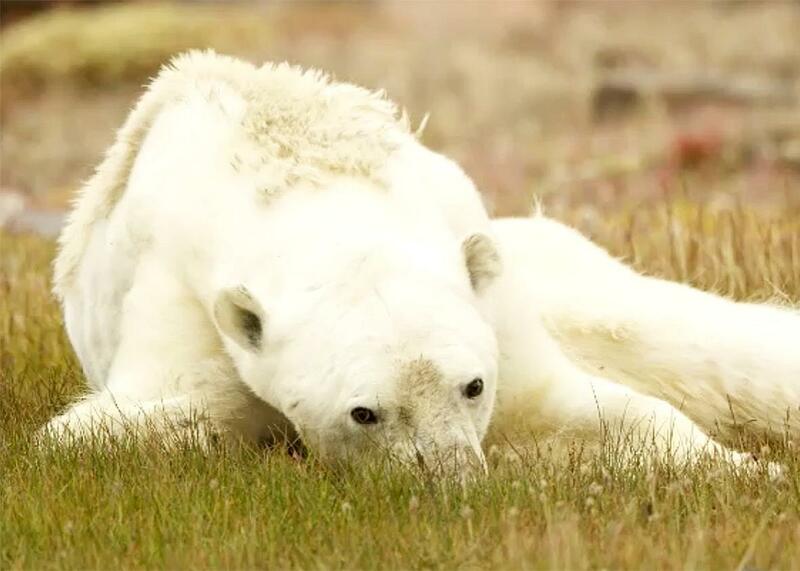 The viral photo of a starving polar bear might be dying of cancer, not climate change. Climate change is certainly killing polar bears, but this photo may just depict disease. It can still help us better understand what’s a stake. While it can be hard to stomach, never mind witness, animals starve to death all the time for a million different reasons. When National Geographic published a video of a disturbingly thin polar bear struggling to walk across snow-free pastures on Thursday, it seemed like an image visceral enough to finally shake us out of our complacency to start doing something about climate change. “We stood there crying—filming with tears rolling down our cheeks,” the magazine’s own staffers said of the images they collected. Thousands of viewers joined in, expressing their dismay at the majestic bear’s disturbing demise and regret over the current state of carbon emissions. Polar bears have been the poster child of climate change for years—as we all know, the shrinking amount of ice in the Arctic makes it increasingly hard for them to hunt. This photo seems to be the epitome of this problem. But “seems” is the operative word here: In the past few days, as the image has drawn more attention, Arctic scientists have spoken up to explain why they’re not convinced the bear is dying of climate change after all. Instead, we don’t know exactly what the cause of death was, which made it all too easy for viewers to turn one diseased polar bear into a symbol of climate change’s destruction. Higdon says we should be skeptical of anyone who thinks the complex phenomenon of climate change caused the misfortune of this one individual animal. That’s certainly true from a purely scientific standpoint—climate change increases the likelihood of certain events, but it is still extremely tricky to attribute a single event, particularly one that often happens naturally, back to climate change.